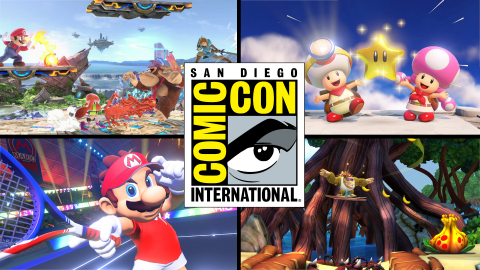 During this year’s Comic-Con from July 19 to July 22, Nintendo of America is setting up Nintendo Gaming Lounge at the San Diego ballroom of the Marriot Marquis & Marina, adjacent to the San Diego Convention Center. Nintendo fans visiting the lounge will be able to try out a large variety of games, such as Super Smash Bros. Ultimate and Pokemon Let’s GO Pikachu/Eevee. Fans can also win a chance to skip the lines to play Super Smash Bros. Ultimate by tweeting the official Nintendo of America account (@NintendoAmerica) with the hashtag #BringMeSmash. Check out the full list of games and details below.